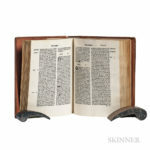 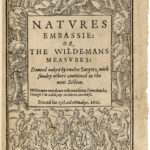 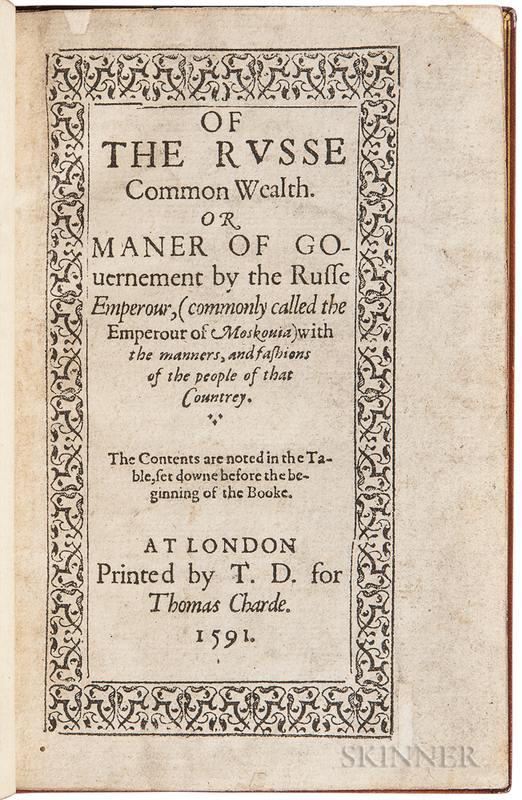 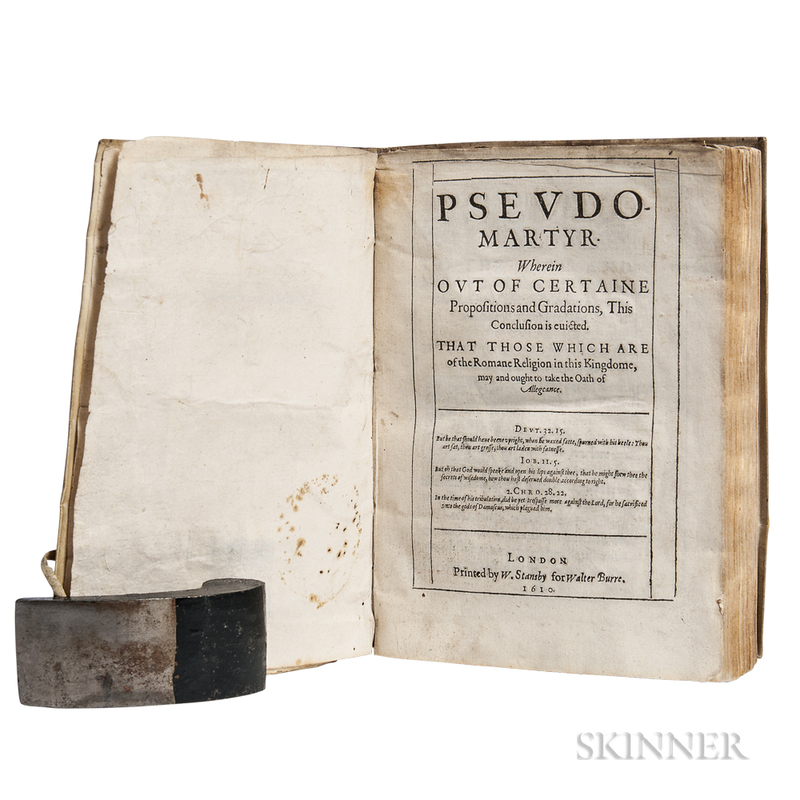 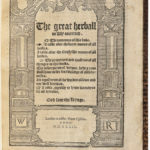 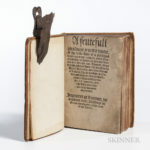 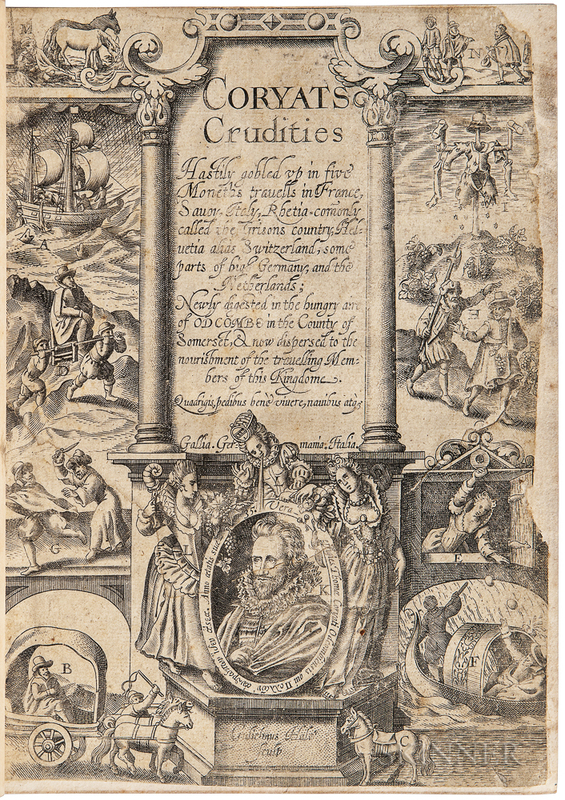 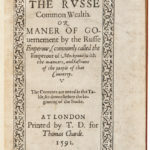 The July 20th Skinner rare book sale will be a rare opportunity to see 200 examples of early English printing in Boston. 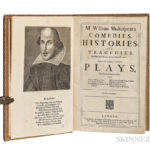 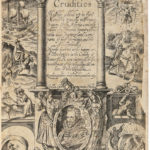 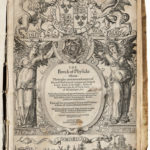 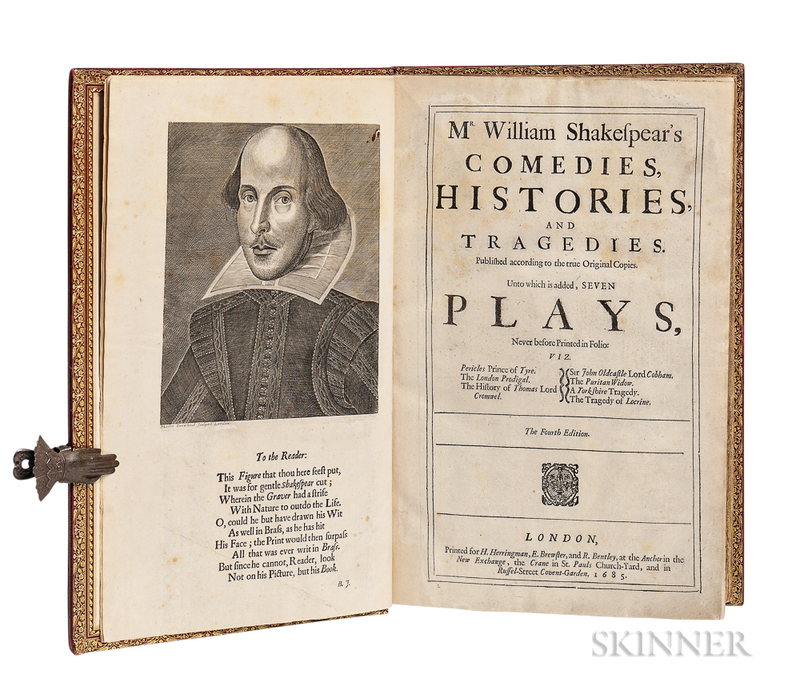 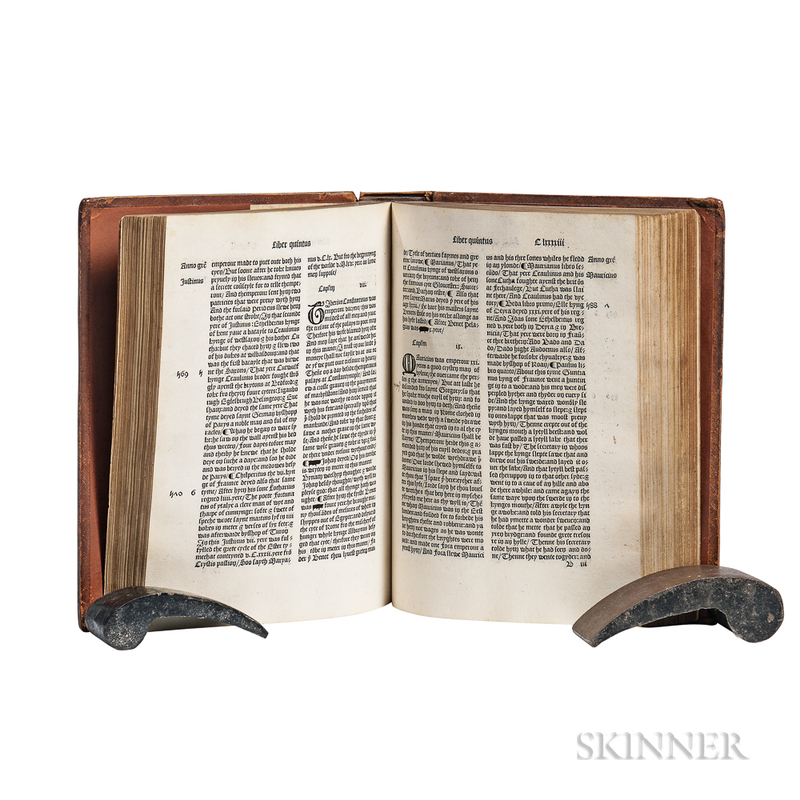 An English incunabula edition of Higden’s Polychronicon is included, along with a selection of rare Elizabethan literature including a Shakespeare Fourth Folio and Shakespeare source material published during the bard’s lifetime. 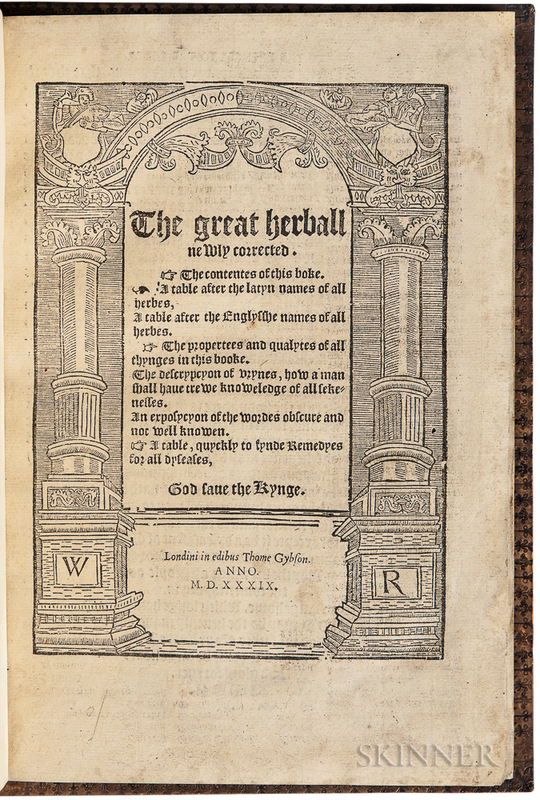 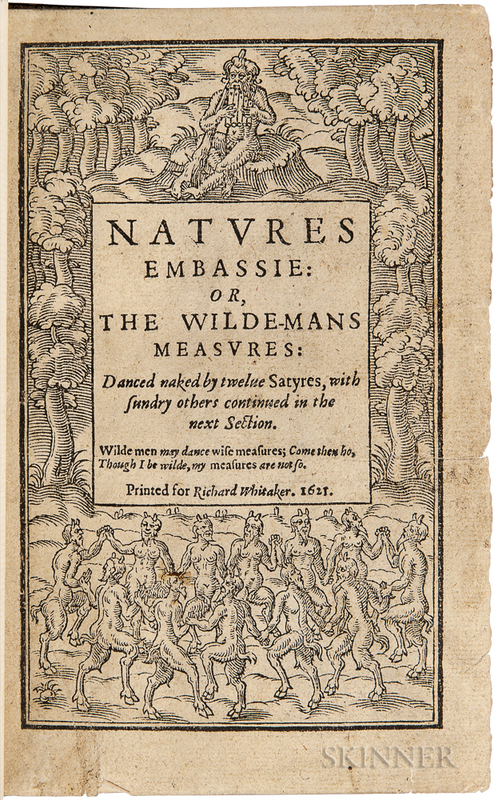 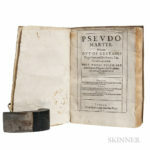 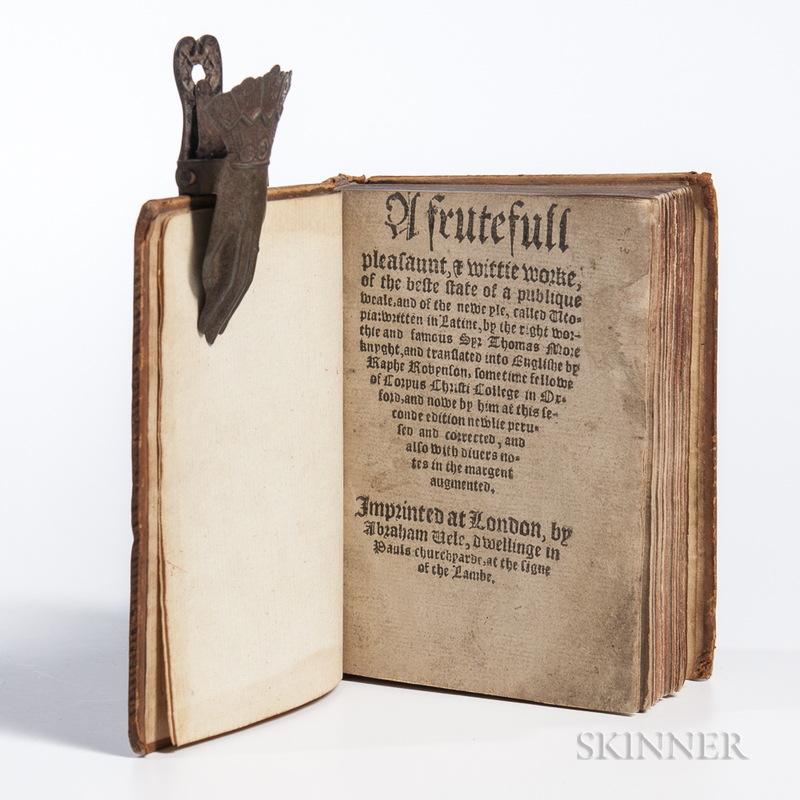 Also in the sale are several early books on the education of children, and a selection of practical works on swimming, worms, the evils of long hair, surveying, fowling, painting sun-dials, mathematics, astronomy, astrology, and a group of early compendia of folk remedies and recipes.